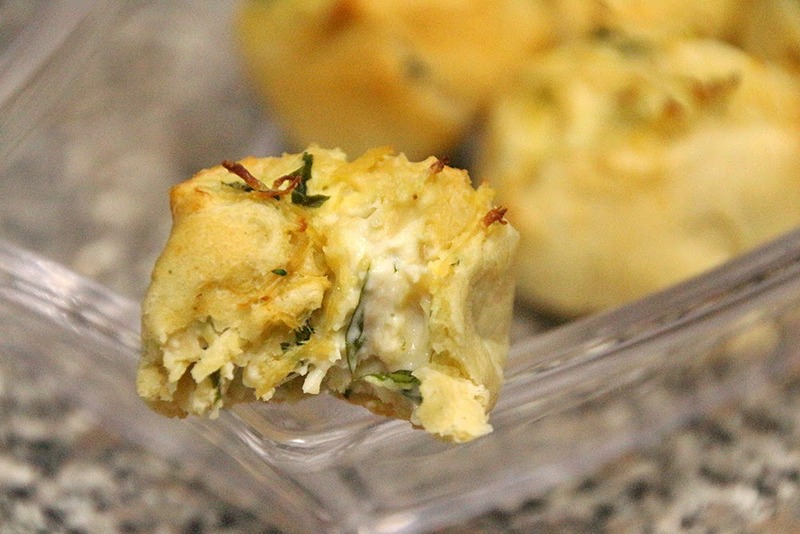 It’s Football Food Friday, yet again! I feel like Fridays come up so quickly during football season (not that I’m complaining one bit). I mean, how is it almost week 7 of the NFL season?? It’s completely insane. Now, I don’t usually talk about my weekend before it actually starts, but I am extra excited for this weekend because I’ll be celebrating my birthday on Sunday! TJ and I both took Monday off, and we’ll be doing some fun celebrations over the next few days – can’t wait to share it all on Monday. 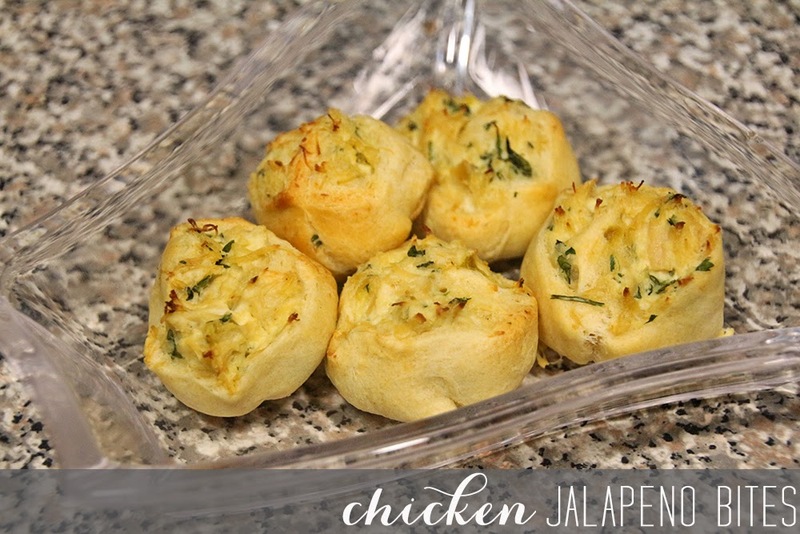 Now onto these chicken jalapeno bites. 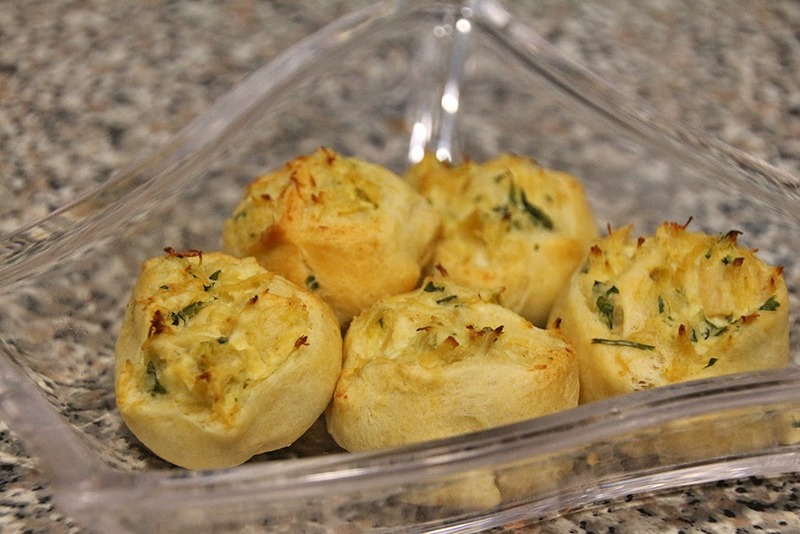 These little guys are bite-size, just the right amount of spicy, and absolutely perfect for popping into your mouth during any (college, NFL, high school?) football game. 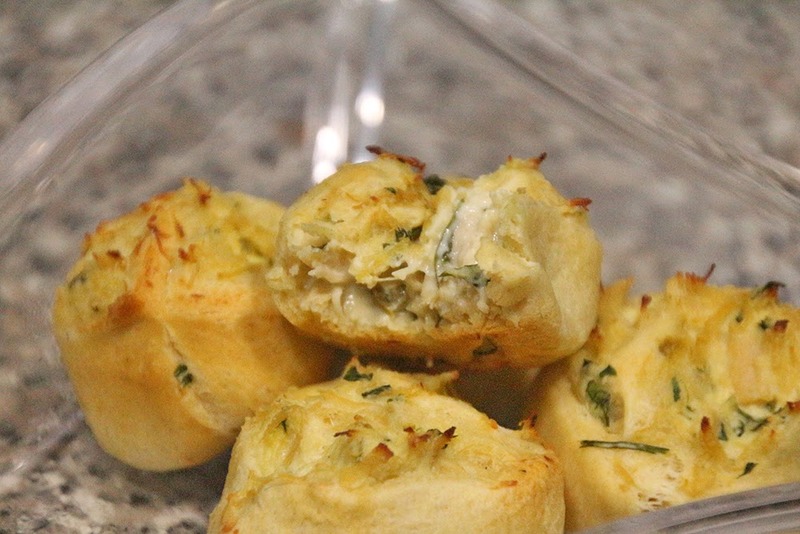 An equal opportunity football snack, if you will. 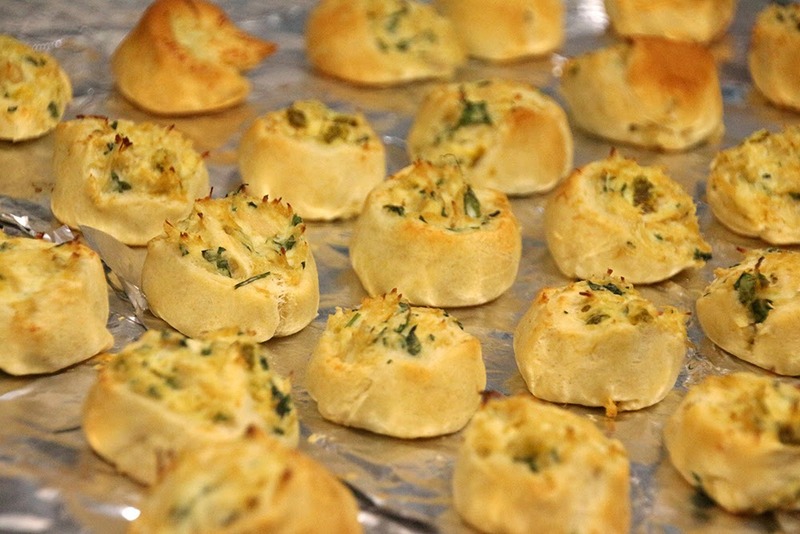 Mix together all ingredients, except for the crescents. 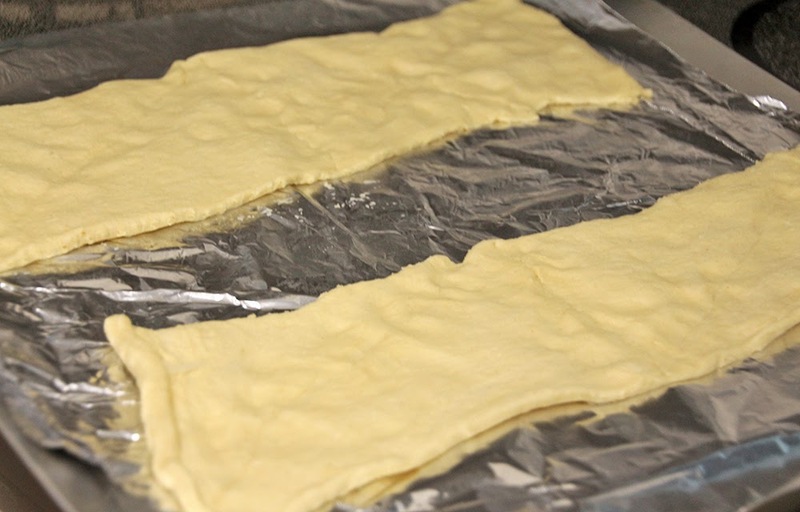 Line a baking sheet with foil, and unroll the crescent rolls onto the sheet. Separate into two long rectangles, and press the perforations to seal. 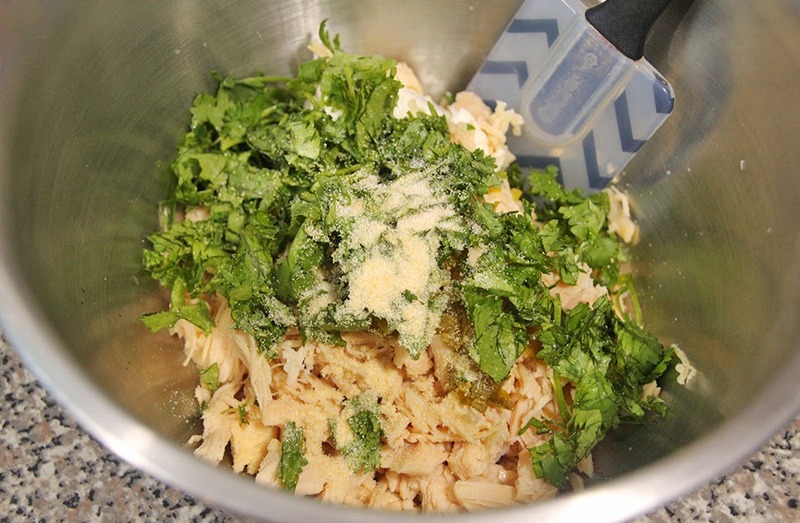 Divide the chicken mixture in half, and place one half on each rectangle. 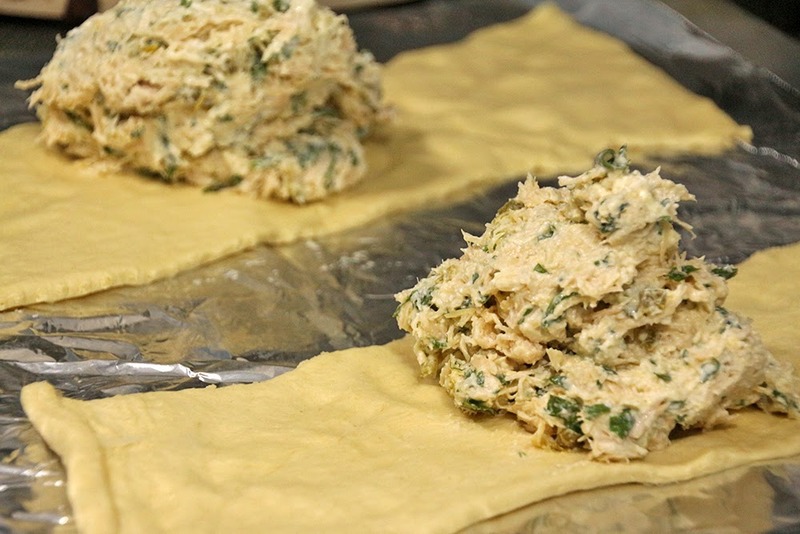 Spread the chicken mixture across each rectangle, leaving a 1/2 inch edge. Roll each rectangle, starting with the long end, and press the edge to seal. 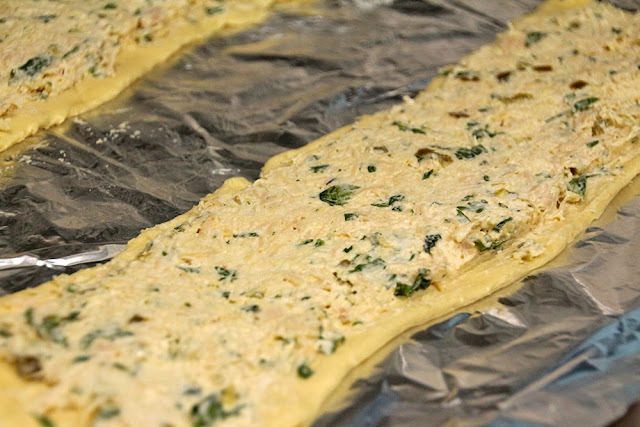 Cut each rectangle into 15 pieces, and place on the baking sheet. 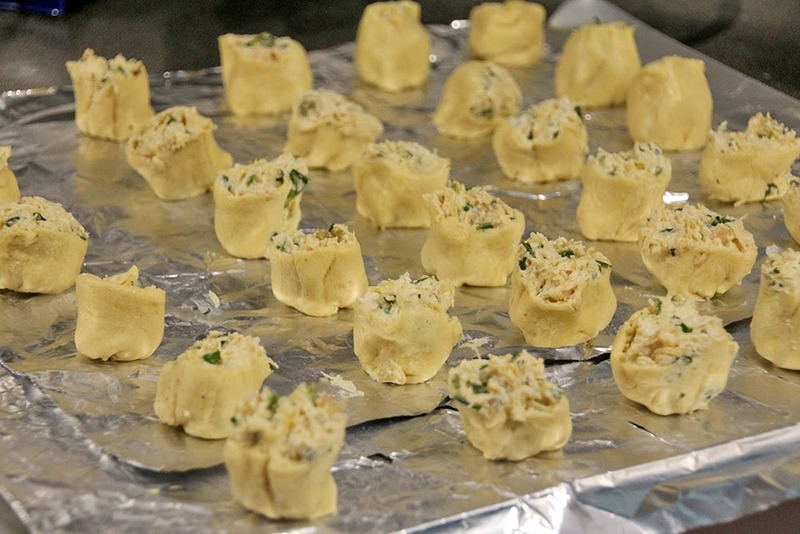 Gently seal the bottom of each piece. 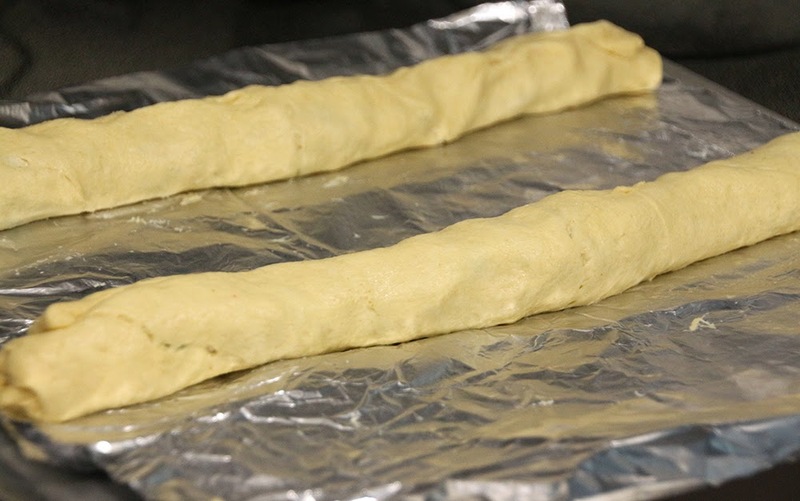 Bake at 375 for about 14-16 minutes, or until golden brown. This looks so good! I’m definitely going to have to try to make this!